Below are the e-mails sent to registrants. Check these out for details you may have missed! Hello 4th Annual Palisade Gran Fondo participants! There are limited jerseys and jackets still available. These can be purchased by going into the registration page. We will accept orders during the event if you still want one of these excellent custom pieces, but missed out on the early order. Proceeds from jersey and jacket sales go to Keeping up With Kristina, our grassroots effort to support our great friend and long time Grand Valley cycling advocate Kristina Kittelson who is battling it out with Stage IV Colon Cancer. We have just learned Avant Vineyards, our 2018 wine sponsor, will offer 10% off individual bottle purchases and a whopping 20% off ½ cases and cases purchased over Gran Fondo weekend. This is an unheard of deal from one of the smallest and, certainly, the finest wineries in Western Colorado. Get out to their tasting room Friday, Saturday or Sunday, taste their full line of incredible wines. 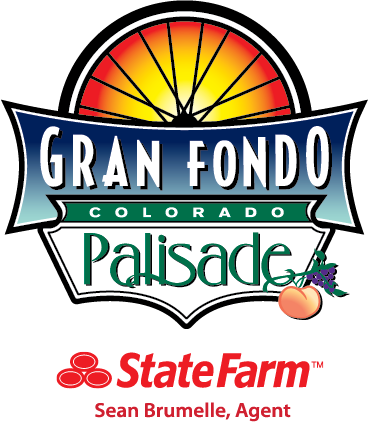 Let them know you are with the Palisade Gran Fondo to receive your discount. Don’t miss this deal (seriously). *Piccolo Fondo riders can expect an extra aide station at 35Rd and ERd. This is a food, hydration, moral support stop. (Sorry, no port-a-let here) Opens 8:30, closes noon. We are bringing in ringers from Paonia to make this happen – give them a high five for coming out to help us help you!! *Friends and family post ride picnic vouchers will be for sale at packet pick up and at the party. $10 each. We don’t play when it comes to food, beer and wine. Expect the best. Cash or check please. *Friday late Registration and Packet Pick up is 5-8PM in front of the Palisade Café 11.0 (113 W. 3rd St, Palisade) They will be open for lunch and dinner- serving their famous paella in addition to their regular menu. *Friday is also Food Truck Friday in Palisade The foodtrucks will be out at St Kathryn Vineyards- 785 Elberta Avenue from 5:30-8:30PM. *Late registration and packet pick up Saturday starting at 6:00AM at the start/ finish area. *Yes, you must pick up your own packet and sign your own waiver. We really need a few more folks to volunteer to be out on course. It is a long and far flung course and we count on good support to keep you safe out there. If you have a family member or friend coming along who is willing to get on course for a few hours have them send us an e-mail! They will get our heartfelt thanks, a sweet gift and get in on the post ride party. Please? And Thank you! This and all other updates are posted at palisadegranfondo.com under “rider communiques”. Check the website and FaceBook often for updates on course conditions, etc- especially as we get closer to event day! See you soon!! This is going to be a great day in the saddle and a great day in the park!! June 2nd is getting closer everyday and we are working hard to make sure the 4th Annual Palisade Gran Fondo is the best yet! Please visit www.palisadegranfondo.com often for the most up to date information. If you have not yet registered- remember prices go up on May 1st – so register now and save some cash! As many of you are aware this year we will contribute a portion of every registration and the proceeds from our Pactimo Custom jersey and jacket to Keeping Up With Kristina. This grassroots campaign is to support our great friend, fierce cyclist and tireless local cycling advocate, Kristina Kittelson. Kristina is facing advanced colon cancer and has been unable to return to her job as an OR Nurse. As we have always said at Palisade Velo- friends never leave a friend out in the wind alone. We are honored to take a pull for Kristina as she attacks the hardest climb of her life. Tina Wilson has again designed our stunning Pactimo Custom Century LX Jersey and Evergreen Jacket. Both pieces come in men’s and women’s specific cut. They are on sale now at BikeReg. Order yours soon if you want to have it available at packet pick-up!! Please spread the word- Registration Fees increase May 1st! 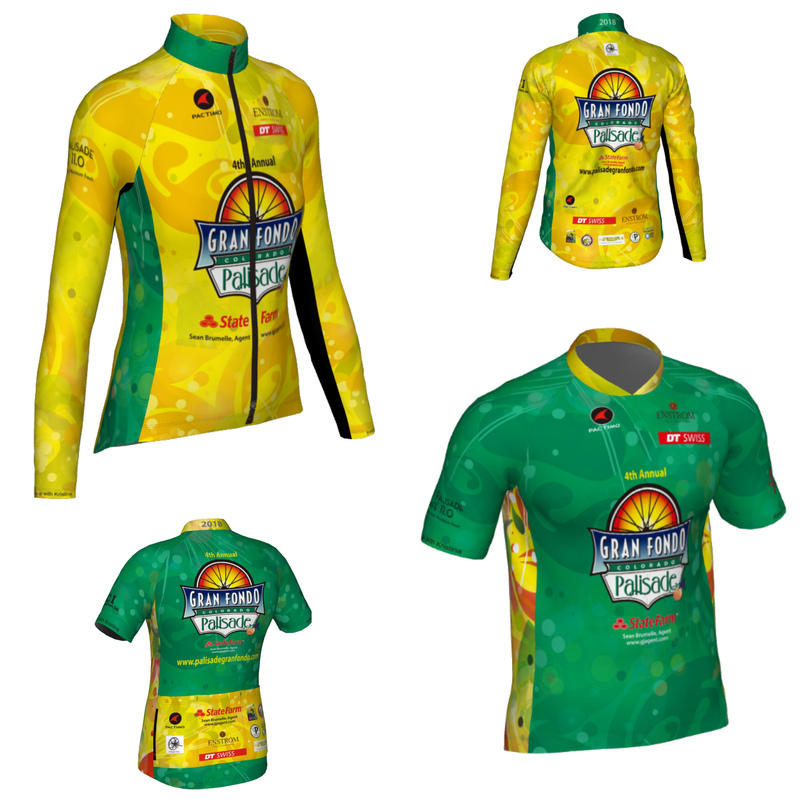 Order your Pactimo Custom Jersey and Jacket now! We look forward to seeing you Friday June 1st for packet pick-up and paella!